Last night at Vibe restaurant and lounge in the “A,” CEO of the F.I.R.M., Kevin Shine presented the Writing Sessions of America Atlanta (WSAATL): Unplugged Music Experience ICON Awards. Serving up “Old School Rules with New School Tools,” the event brought out some of Atlanta’s most notable tastemakers. Honorees of the event included Jamie Foster Brown of Sister 2 Sister Magazine, Ray Fling of Rolling Out, Steed Munson of Steed Media Group, and entertainment lawyer Denise Brown to name a few. 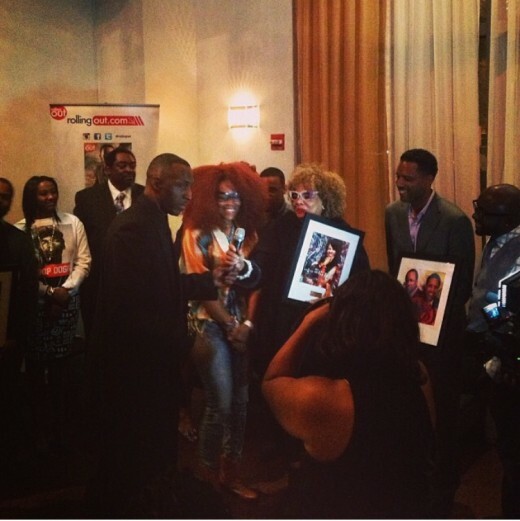 The event aimed to celebrate icons in the entertainment industry, while also introducing fresh up and coming talent. Sponsored by Status Vodka, the crowd enjoyed live performances, and specialty cocktails. The honorees talked about their experiences in the industry, and gave advice on how to pursue a career in entertainment. This was the first event in a series of events this weekend. On Friday and Sunday, WSAATL will be hosting different seminars and workshops all over Atlanta. Visit www.wsaatl.com for more information on events and how you can become a part of the WSAATL experience! Bobby Brown Clears Rumors: Not Expecting Another Baby Anytime Soon!